Well, it’s nearly time for another holiday, Valentine’s Day of course! Valentine’s Day has never been a big deal for our family. We usually make each other homemade cards and make pizza from scratch. So no crazy restaurant dinners overpriced flowers or anything like that here. Although, we are always down for some delicious dessert. 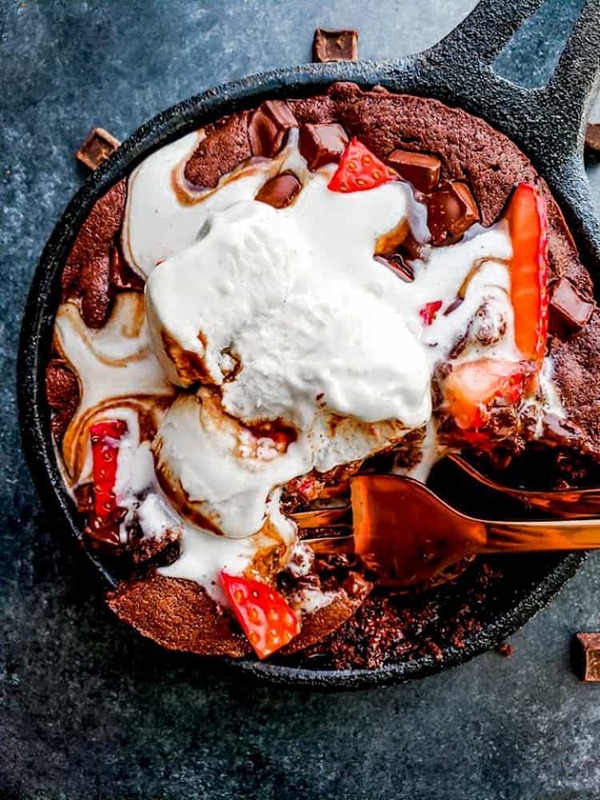 Whether you love of hate this holiday I think we can all agree that this Skillet Brownie Sundae is a must. Whether you are sharing with a lover, indulging on your own, or sharing with a friend this chocolate explosion will bring a smile to your face and heart. Top with extras like ice cream, hot fudge and strawberries for the perfect finish.